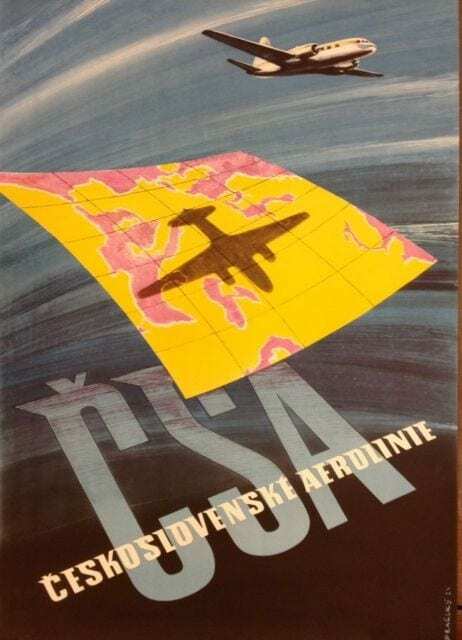 For a small country, the former Czechoslovakia produced a large number of posters, owing to a combination of the country’s rich artistic legacy and strong economic climate. Even Czech fine artists, in the addition to commercial designers, contributed work to the category. The travel posters showcase the beauty, intrigue, and architecture of the Czech lands, urging foreigners to travel to Czechoslovakia. The Lowry family has built their collection of Czech posters over the past 25 years, amassing more than 1,000 pieces—making it the largest collection in the world outside the Czech Republic. Father and son, George S. and Nicholas D. Lowry, have selected over 30 striking travel posters for this exhibition. 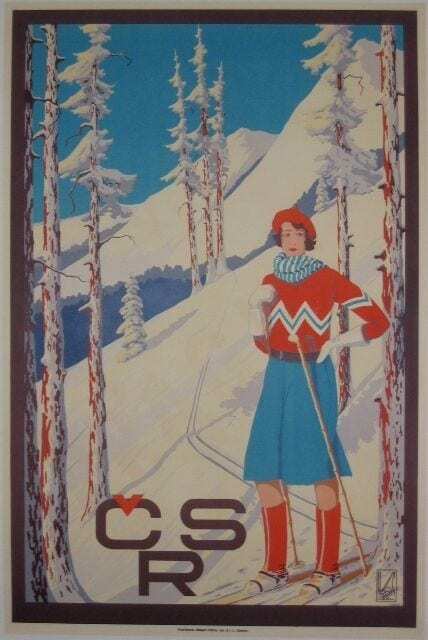 It is the first organized exhibition of Czech travel posters ever presented. The collection grew out of the family’s Czech origins and George and Nicholas’s mutual passion for these images. Viewers of PBS’s Antiques Roadshow will recognize Nicholas Lowry as a regularly appearing expert.